Since 1932, Winther trikes have been known for unsurpassed quality and durability, and Viking is their premier range of heavy-duty ride-ons. 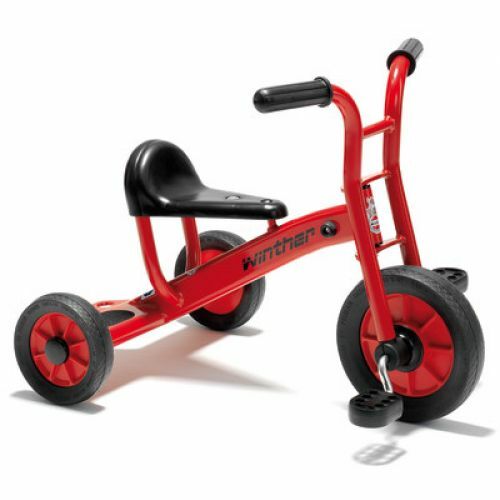 First-class components and superior craftsmanship in all the joints provide for the trademark smooth Winther ride. Strong impact-proof powder coating, rust protection, and industrial ball bearings in the front and rear wheels ensure these trikes will stand the test of time. Not available in Canada. 5-year warranty on frame and fork. Seat height 11 1⁄4". Ages 2–4.